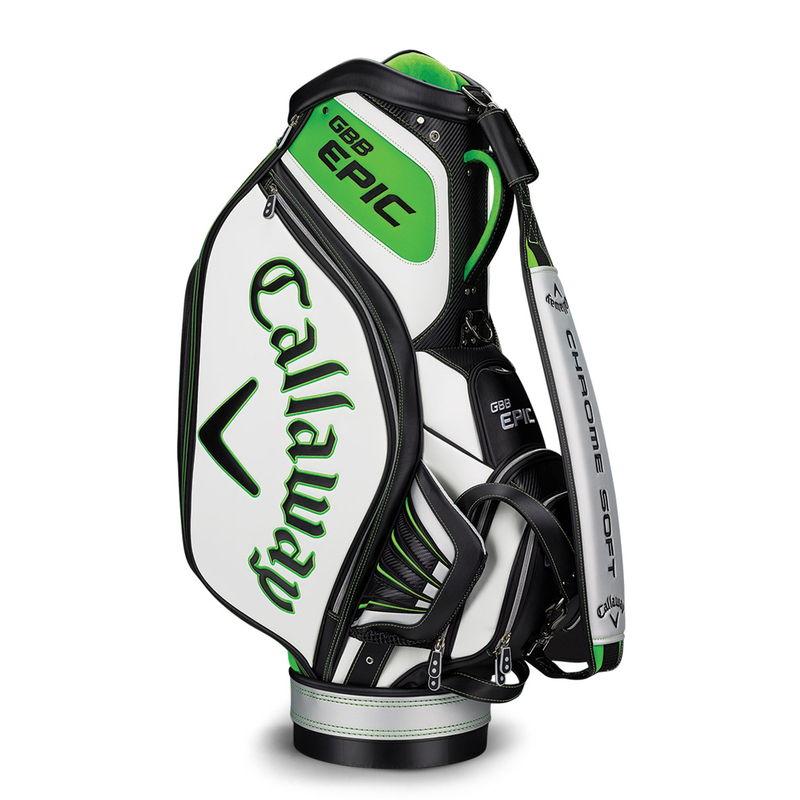 Be the centre of attention on your course with this fabulous Tour Branded Callaway Golf Tour Staff bag which features the green and white Epic golf colour scheme. 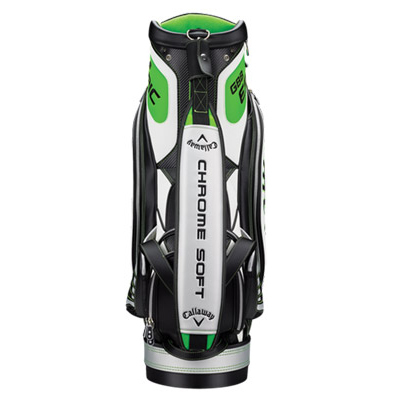 The Callaway golf bag has 9 pockets which includes a velour-lined valuables pocket allows you to safely and securely store your possessions, and a magnetic closure rangefinder / GPS pocket for quick and easy access. A perfect balance base provides stability when standing your golf bag and features a highly comfortable single carry strap, which has a double connection for a secure fasten to your bag. Also included is a rain hood and umbrella holder to help you and your clubs stay dry in the rain. Weight 11lbs.